Due to our many years of experience in the sector, based on the requirements of the FMCG sector (permanent cost and productivity constraints), we have developed customised logistics solutions. 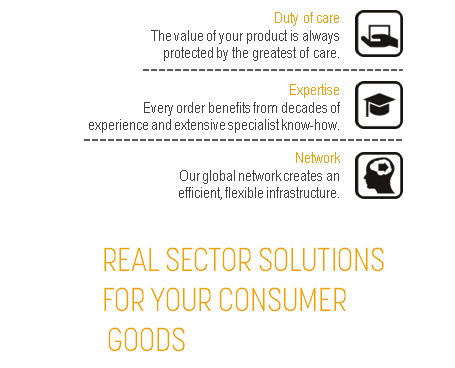 We optimise your entire supply chain end to end and offer a pool of individual services. In addition to professional storage we offer you all warehousing methods, the transport of piece goods and also Europe-wide partial and complete loads (e.g. ambient food, commodity goods). We create efficient product tracking and verification through seamlessly documented history of goods with Track & Trace also within the product logistics processes.